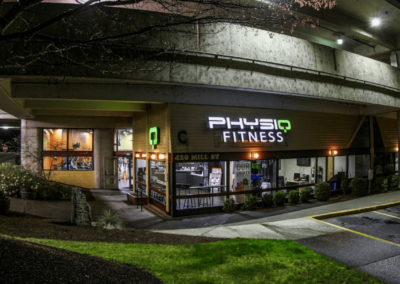 What makes Physiq Fitness the best fitness center in Downtown Salem? What’s Physiq Downtown Salem like? Just take a look and see. We’re big, clean, and packed with more ways to work out than you can count. So come see us for yourself. Physiq Downtown offers the perfect central location to work towards your goals. With a variety of equipment, trainers, and amenities in walking distance, it just makes sense. Get in the zone and push yourself to make maximum gains. With Heart Rate Training you can precisely measure your body’s activity and get the most out of your workout. We know why you love going to the gym! With all of the following amenities in our 8,500 sq. ft facility, it’s like a palace fit for a king or queen! And you’ll feel like royalty with all of the amenities available to you! So many ways to sweat and they say there’s strength in numbers! And at Physiq, you can get unlimited team training classes for only $39.99/month. We’ll even add in a full gym and all the amenities at no extra charge.